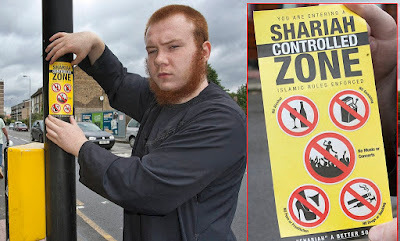 TradCatKnight: UK: "Teacher Handbook" Supporting Extremism? Mogra is an imam of the purist, revivalist Deobandi sect, which harks back to 7th century Islam and currently controls between 40-45% of Britain's mosques. It has a strong politicized and jihadist pedigree, having begun as a form of resistance to British colonial rule in India and, later, with its role as the ideological foundation of the Taliban. Mogra also serves as assistant secretary general of the Muslim Council of Britain (MCB), the UK's foremost Muslim advocacy body. It is nonetheless cited in the British government's 2015 Muslim Brotherhood Review as having "consistently opposed programmes by successive Governments to prevent terrorism." 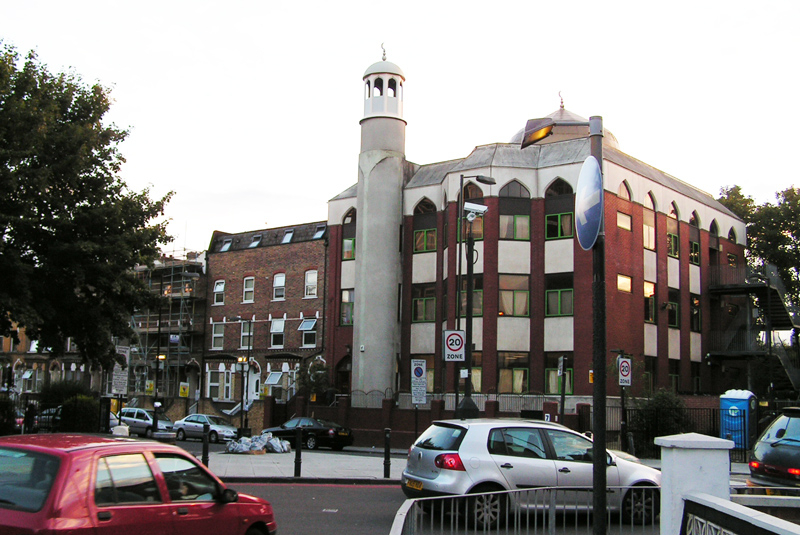 In response to one such government call for assistance countering radicalization in Britain's Muslim community, Mogra suggested that "the demand could fuel anti-Muslim sentiments in British society" -- a claim which could be seen as playing the victim card to dodge an entirely reasonable request. The 2015 Review also referred to Daud Abdullah, the MCB's former deputy secretary general, having signed the 2009 Istanbul Declaration, "a public document which appeared to condone violence against any country supporting an arms blockade against Gaza." Britain, whose naval vessels provided logistical support to the Gaza blockade, was one such country. Furthermore, the Istanbul Declaration contained a call for attacks on Jewish communities and individuals globally. A few years earlier, in 2004, Sir Iqbal Sacranie, then the head of the MCB, attended a memorial service at London's Central Mosque in honor of Sheik Ahmed Yassin, the founder of Hamas, the charter of which mandates the extermination of Israel and the Jews. To justify his support for Yassin, Sacranie likened the arch-terrorist to Mahatma Gandhi. Although Mogra has been more guarded in his statements than his overtly terrorist-supporting MCB colleagues, he has never sought to distance himself from any of them, nor has he ever contradicted their support for Hamas in particular. Furthermore, Mogra has also shared a platform with a terrorist lynchpin. Mogra spoke alongside Imam Anwar al-Awlaki in 2003 at the annual summer conference of the Federation of Student Islamic Societies. Al-Awlaki was killed in a US drone strike in 2011 for his role as a senior Al Qaeda ideologue and regional commander. Critics say Mogra is fronting for a dirty, interconnected underworld. From its founding in 1997, for more than a decade, the MCB was open about its terrorist allegiances. After the Istanbul Declaration, however, the administration of Prime Minister Gordon Brown suspended ties with the organization. Since then, subsequent British governments have backtracked. Perhaps seeking the fuller inclusion of the early 2000s, with Mogra at the forefront, the MCB has attempted in recent years to rebrand itself as a moderate force promoting inter-faith dialogue and integration in multicultural Britain. Mogra's statements, however, call into question his supposed enthusiasm for inter-faith dialogue. "Islam says it's forbidden [inter-faith marriage]. And I think to have your daughter openly go against God's law is and can be very, very difficult," he said. Mogra commemorated Holocaust Memorial Day in January 2018 by tweeting on a variety of historical genocides, seeming to imply that the Nazi genocide of the Jews was only one among many mass murders. A week earlier, the MCB's Our Mosques, Our Future conference, featured as a speaker Mohammed Kozbar, chairman of the Finsbury Park mosque, one of whose key trustees is Mohammed Sawalha, a former senior Hamas military commander. Sawalha evaded Israeli authorities in 1990 and subsequently found refuge in London, from where he organized flotillas to Gaza -- and allegedly directed funds for Hamas's military and missionary wings. As a key author and editor of The Oxford Teacher Handbook for GCSE Islam, Mogra's true allegiances need scrutiny. In a BBC interview after the 2015 Paris attacks, Mogra dodged the principal issue of Islamic terrorism, and stressed instead the supposed victimization of UK Muslims. "[W]e are beginning to see society turning on Muslims who've made this country their own and now are being seen as a threat or as an enemy within," he said. To protect the oppressed (i.e. if a tyrant is ruling a country). In this context, Mogra's bemoaning of supposed Muslim victimhood on the BBC could be perceived either as a "dog-whistle" to jihad, or, at the very least, as a veiled threat of "defensive" violence, should Muslims feel that they or Islam are in any way regarded as responsible for Islamic terrorism. The logic of Mogra's BBC statement and the content of the Teacher Handbook, when combined, is that if society is "turning on Muslims," then they are "oppressed," and it is then but a small step to "tak[ing] up arms because they have been wronged." Herein lies the crux of the matter. Behind Mogra's softly spoken rhetoric of inter-faith dialogue, there seems to lie a faint but clearly discernible threat of violence -- a potential menace made all the more real by the company he keeps. "As the role of the RE [Religious Education] teacher requires both an appreciation and appraisal of religions, it is important to redress the imbalance of constant negativity about Islam and Muslims in the media." This claim, however, that Islam suffers from "constant negativity [...] in the media" is false. The BBC, for instance, completely whitewashed the Finsbury Park mosque's links to Hamas, while promoting its imam, Mohammed Mahmoud, as a hero. Mahmoud prevented a Muslim mob assaulting Darren Osborne, the perpetrator of the deadly van-ramming attack on worshipers outside the mosque in June 2017. The grim irony -- of a Hamas-linked mosque being the recipient of a Hamas-inspired vehicular ramming -- was not, of course, mentioned by the BBC. Similar to the British media's blindness, British educational authorities also failed to note the underlying message of the Teacher Handbook: that jihadist violence is justified when committed by those who believe themselves to be victims. This is a crucial point: it accepts at face value what might only be many Muslims' perception of "victimhood." In one of its most misjudged references, the Teacher Handbook uses the key perpetrator of the 7/7/2005 London bombings, Mohammad Sidique Khan, as a mouthpiece for terrorism's rationale. "Many Muslims feel very strongly about the role of foreign policy as a factor in inspiring terrorism," Mogra and his co-authors state, pointing to the video message left by Khan, who described his actions as a means of "protecting and avenging my Muslim brothers and sisters." The part omitted from the Teacher Handbook reveals the extent of Khan's adversarial thinking and the true nature of jihadism. Its absence, and the misrepresentation that Khan's edited quote then becomes, provides teachers and students in the UK with a false basis for the belief -- or wishful thinking -- that if only Western foreign policy were more humane and compliant, there would be no Islamic terrorism. In fact, no amount of Western appeasement can counter jihad, which is, as admitted, a global expansionist project. As elsewhere noted, many religious texts have violent verses, but in Islam people still live by them. "Democracy" is undermined by sanctioning "lesser jihad," instead of settling disputes at the ballot box. "Rule of law" is undermined, for instance, by asserting Sharia (Islamic) law's position on polygamy in the face of its prohibition by the UK legal system. "Individual liberty" is undermined, for instance, by uncritical reference to the Qur'an's endorsement of slavery (24:30-31). "Mutual respect" for different faiths and beliefs is undermined by teachings such as: "To worship other gods or idols [...] instead of Allah is the main sin of Islam...Thus, all polytheistic faiths and also the Christian idea of the Trinity are rejected." "Unlimited tolerance must lead to the disappearance of tolerance. If we extend unlimited tolerance even to those who are intolerant, if we are not prepared to defend a tolerant society against the onslaught of the intolerant, then the tolerant will be destroyed, and tolerance with them... We should therefore claim, in the name of tolerance, the right not to tolerate the intolerant." The time for Britain to digest these words is overdue.